Comments: Flower color, except for those that are always white, is determined by the availability of aluminum in the soil in which the plant is growing. In acid soils where aluminum is available, the flowers are blue. 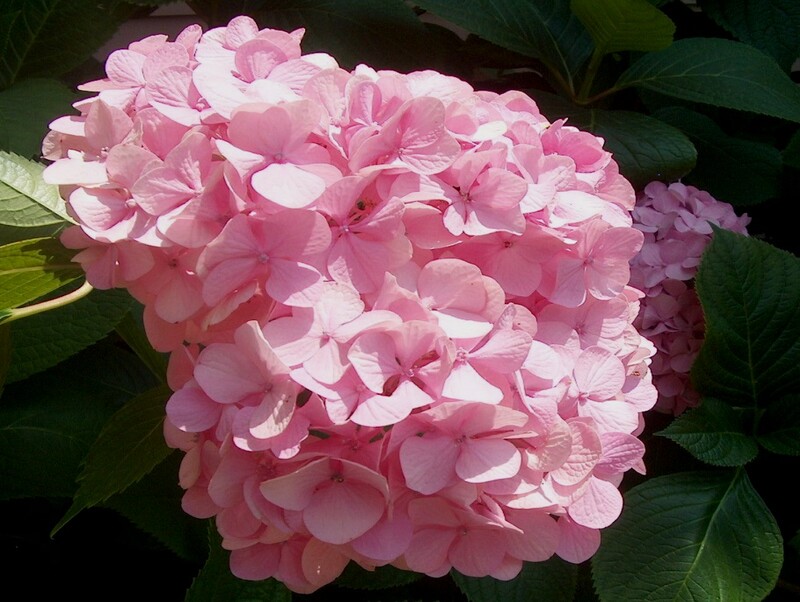 In alkaline soils, the flowers are pink. Leaf color varies from light to dark green and there are varieties with variegated leaves. Plants may be regular size and up to 8-10 feet, while the dwarf varieties are only 2-3 feet.